Wisdom Children Sing "God Loves the World So Much"
The children at Wisdom Community School are learning the song "God Loves the World So Much." 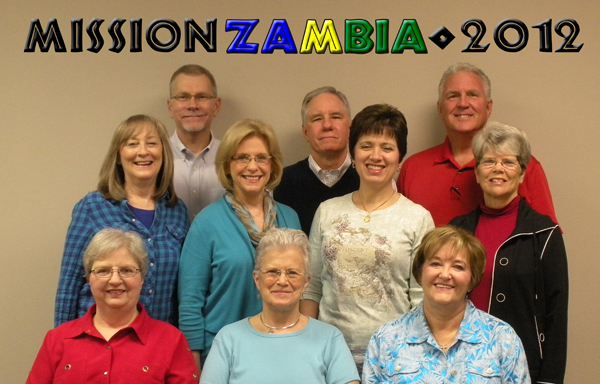 Mary Kay McCormick, a member of the Living Well Zambia Mission team is teaching them the song with motions. They love to sing! 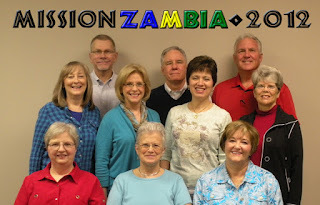 Ed and Donna Edwards, LIVING WELL, returned to Ndola and they brought friends! After their January trip, the Edwards saw the Lord raise the funds to continuing paying the staff through 2012 and to have the school plastered on the outside. God raised up a team of eight others to accompany them on a return trip to Wisdom Community School in June 2012. Recreation equipment - soccer balls, etc. After a site visit in January, 2012, Ed and Donna Edwards (Living Well) returned to Oklahoma with the children of Wisdom on their hearts. At that time, the school had no consistent funding stream to pay the three teachers and one caretaker. 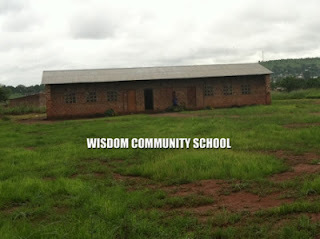 We were waiting on the Lord to provide, so that the school could remain open.